South Windsor has long been a market of interest for investors, with its network of rear lanes, generous block sizes, access to transport, schools and shops, and still affordable prices. Hawkesbury City Council is encouraging increased housing density in the strip between Windsor station and Bligh Park – so there’s good opportunity to increase yields on existing properties for those able to think outside the box. With the median price in South Windsor having risen from $342k in 2011 to $565k as at July this year, and with rental demand on the decline, how can you ensure you are putting your investment dollars to good use? When investors Wayne and Selene found their little cottage in South Windsor they had a vision and with a little bit of hard work, it has truly paid off. Instead of renting out the home in its current state, they set about turning it into something beautiful and practical that people would want to rent. They also split off the back section of the yard and built a second dwelling. Three years later they are earning closer to 10% on their investment, while the median rental yield for properties in South Windsor sits at 3.9%. What the pair did particularly well, was fully understand their costs, know the council rules and keep the perspective of their potential tenants in mind. They designed the two separate spaces with consideration for privacy, amenity and comfort. Although the tenants have turned over a couple of times in the three years they’ve owned them, both properties have barely experienced a vacancy period. 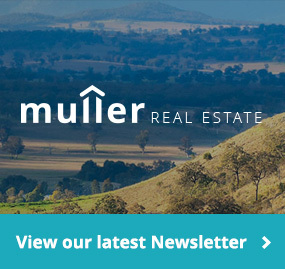 In August, Muller Real Estate attracted new good quality tenants for the rear dwelling and it was leased in just one weekend with zero days vacancy. If you’re in the market for an investment property, there’s some critical things to keep in mind. Check the Section 149 certificate to see whether or not the property qualifies under the New State Environmental Planning Policy (SEPP) for Complying Development. Properties on corner blocks or with rear lane access provide the best opportunities for additional dwellings. You’ll also need to consider lot size and width, any set-backs, and the availability of adequate parking. Check the sewer location and examine the ‘Deposited Plan’ to understand how the property sits in relation to other properties around it, to understand the boundary dimensions, the block’s size and any drainage easements. Properties that slope to the front are less problematic for drainage, particularly if a drainage easement doesn’t exist. Hawkesbury Council Development Control Plan provides all the information you need to plan your development. It takes a certain type of buyer to see past the façade – and imagine the potential. Do your numbers, know the costs and know the rules. Most importantly, keep your prospective tenants in mind to ensure both dwellings will be places people want to live. As Wayne and Selene have experienced, it can be well worth the effort when you get it right. For excellence in property management and sales, call us today.